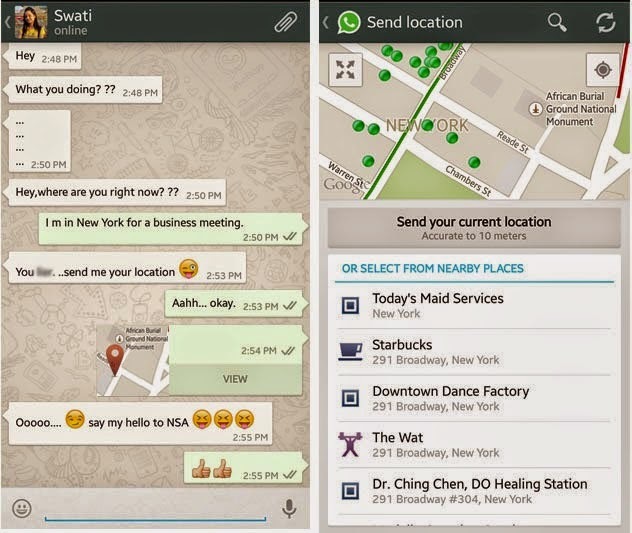 If you are using WhatsApp to chit-chat with your friends or relatives, then you should be careful about sharing your location with them using WhatsApp ‘Location Share’ feature. No doubt, WhatsApp communication between your phone and company’s server is now encrypted with SSL, which means whatever you are sharing with your friends, is secured from the man-in-the-middle attacks. But the extremely popular instant messaging service for Smartphones that delivers more than 1 billion messages per day has another serious security issue. 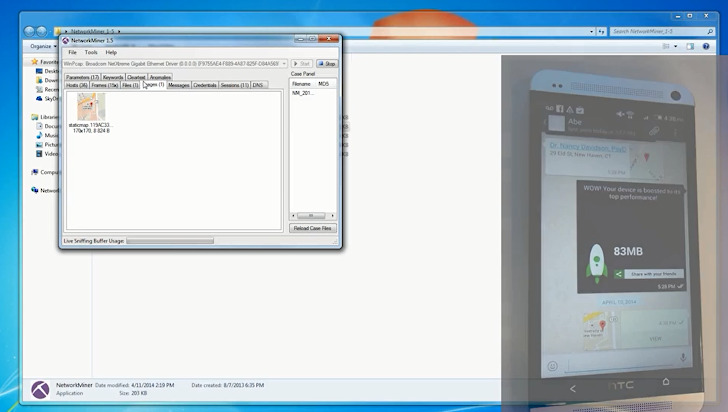 Once selected, WhatsApp fetches the location and thumbnail (an image) from the Google Map service to share it as the message icon, but unfortunately WhatsApp downloads this image through an unencrypted channel from Google that could be sniffed during a Man-in-the-middle attack, as shown in the video demo. “The main issue is that the location image is unencrypted, leaving it open for interception through either a Rouge AP, or any man-in-the middle attacks,” the reports read. "We were not able to intercept the image until the message was sent from the phone, indicating that the download of the image did not occur until the message was actually sent." researcher said. The captured image could be enough to expose your nearby location, but practically this attack is only possible when attacker and the victim are connected to the same network in order to facilitate the MITM attacks. Such short-range dependency makes this vulnerability of very low severity level for normal attackers, but spy agencies like NSA or GCHQ, those are capable to perform large scale MITM attacks, could exploit this flaw to trace users’ location nation-wide. Researchers have already reported this flaw to WhatsApp Team and it has already been fixed in the latest beta version of WhatsApp app available on their official website. "Hello XXXXXX, Thank you for your report. We have already implemented this solution in the latest beta versions of our app. We will be rolling this fix out to the general public with the next release on each platform. If you have any other questions or concerns, please feel free to contact us. We would be happy to help!" The Company will release the patched version to Google Play Store with its next release, but meanwhile, users are also recommended not to share their location using WhatsApp with their contacts when connected to an un-trusted or a public Wi-Fi Network, until the bug is fixed.